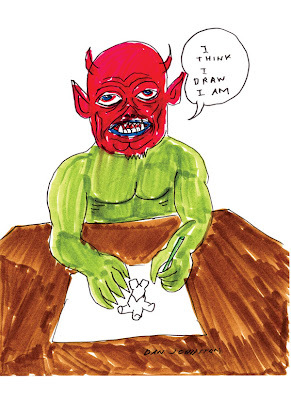 Yes, April 2012 has to be declared Daniel Johnston’s month: two large solo exhibitions and the rare occasion to see him performing fills our hearts with nerves and our heads with drawings. It is also a month to celebrate the music of Jad Fair, and so many other musical and magical connections. There is so much to tell, that we will have to split it in two chapters. 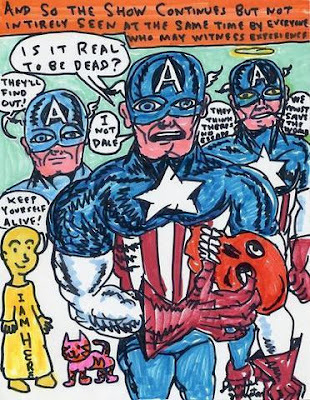 Tomorrow, April 06, at 18:30, is the opening of the Daniel Johnston’s exhibition at Le lieu unique, in Nantes. A very special concert will take place on Saturday, as Daniel Johnston will be performing at the art center, accompanied by long time collaborator Jad Fair. Curated in close collaboration with Daniel Johnston, his friends and relatives and the nomadic Arts Factory gallery, the exhibition Welcome to my World! features more than 200 pieces from different collections: original drawings, sketchbooks, archival records, fan mail etc. 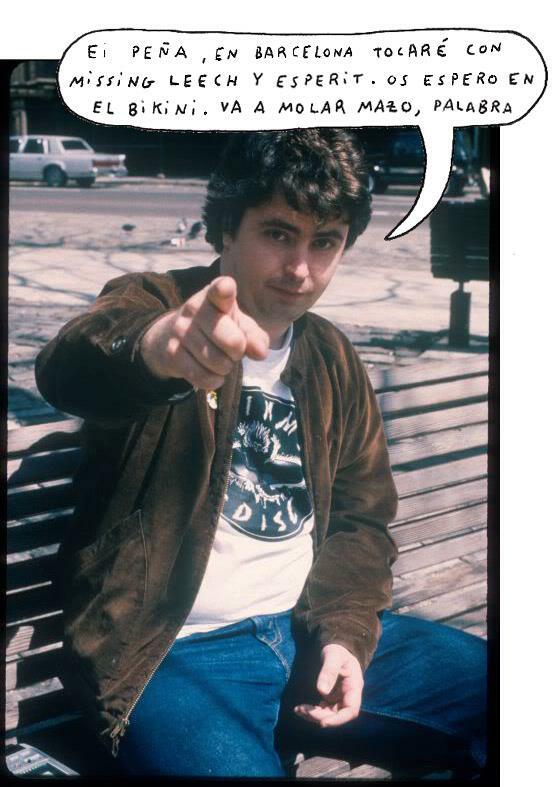 A cult artist of the American alternative scene, Daniel Johnston was born in 1961 in Sacramento. 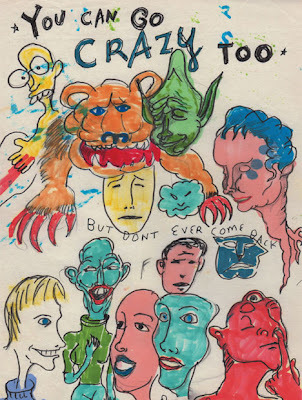 Despite his time in art school and an obvious mastery of the piano, Daniel Johnston is often branded as a pop music outsider artist due to the serious psychological problems that disrupted his creative career from his teenage years on. Hailed by the world of contemporary art with numerous gallery exhibitions, and a notable participation in the 2006 Whitney Musem Biennial in New York, Daniel Johnston’s graphic production is particularly abundant. This new collection looks back on an oeuvre spanning three decades now, and proposes in counterpoint a total immersion in the artist’s world, mining his vast music catalogue – over 500 songs recorded to date – documentaries, short films and filmed concerts. This fabulous double line-up has some other dates in France, not to miss. 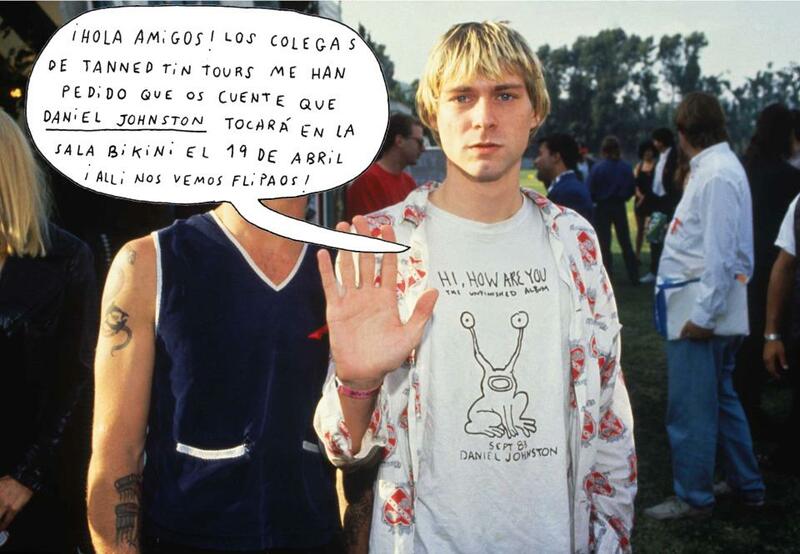 Also, later this month, another exhibition of Daniel Johnston’s artwork will take place in La Casa Encendida, in Madrid. On this occasion, the works exhibited are part of the personal collection of Jeff Tartakov, Johnston’s ex-manager. Johnston has also a show at the cultural center, and has some other spanish dates. JAD FAIR and NORMAN BLAKE (TEENAGE FANCLUB) will also tour in Spain at the occasion of the Spanish Daniel Johnston exhibition ! JAD FAIR IN LONDON !